The Kaypro 1 wasn't the first computer Kaypro launched, but quite one of the last ones. When the company started getting strapped for money they changed the model name of some of their previous systems, modified the case design, added some minor hardware improvements and launched them as new models. The Kaypro 1 was thus no more than a rebadged version of the 2X model which was itself a light evolution of a previous version called 4'84! The main difference between the 1 and 2X versions was the floppy drives assembly, hozizontally mounted in the 2X, vertically in the model 1. I used to work for Kaypro back in the early and mid 80's at the headquarters in Solana Beach. Mr. Kay was a wonderful man to work for and the campus was beautiful. 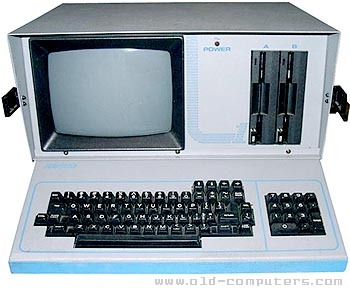 I wish Kaypro had of become the Compaq of that time. I remember Compaq being a major worry back then. I wish I could connect with some of the beautiful people that I worked with at Kaypro. I/O PORTS 2 x RS232C serial ports, 1 x Centronics-type parallel port, 2 x RJ11 modem jacks ? see more Kaypro Kaypro 1 Ebay auctions !